With today’s B&R update, Deathrite Shaman and Gitaxian Probe are gone from Legacy, while Standard remains, well, not fully intact, but intact as it was before today. DRS’ departure is certainly the biggest news here, if only for the sheer volume of the change. It feels like half the people playing Legacy have to go find four new cards to slot into their decks. Of course the change is more impactful than that; this isn’t just about downgrading to a less-effective version of DRS, as one may see moreso with Gitaxian Probe. DRS shaped the format considerably, with easy access to four colors, maindeck incidental graveyard hate, and reach against control decks who had otherwise locked up the red zone. It’s tough to know what the greater implications of the DRS ban are, because it’s going to reverberate across the format several times. We do know one thing though, and that’s that the Legacy being played at the Pro Tour in August is going to be the most interesting that format’s been in years. Most immediately, I suspect Dredge is positioned for a resurgence in popularity. Removing DRS from the format is obviously a huge win for the deck. When something like half the room was packing a playset of one-drops that attacked the graveyard, it made your life a lot more miserable. Were those games unwinnable? I doubt it. But if the Dredge player had to choose between seeing DRS on turn one and not, I’m sure they’d prefer not. Should Dredge really show up in greater numbers following this, or even if people consider it, Lion’s Eye Diamond has the biggest, fattest target on it. First of all, it’s a stupidly powerful card. In fact, I don’t think you can make the argument that it isn’t the most powerful card in Legacy in the abstract. Second, it’s going to be core to just about every Legacy Dredge build. Like yeah, I’m sure there are Dredge builds that don’t incorporate it, but is that just because it’s expensive? And speaking of expensive, it’s on the reserve list. We all know how that’s been going recently. $230 is certainly a tough buy-in, but look at the facts. LED is absurdly powerful. Dredge, the deck where LED does the most work, has been under pressure by DRS for something like six years, and it’s only been getting worse. That predator is now gone from the ecosystem. Nobody has been paying much attention to Dredge or LED because of all of this, but now they will. Oh also it’s good in Storm and other combo decks. And other playable RL cards are $400, $500, and more. If LED is your go-all-out purchase based on this news, this is the more subdued choice. Like LED, I can (kind of) imagine Dredge decks that don’t run four Bridges, but I don’t know what universe that’s correct. Almost the entire reason to run Dredge strategies is the ability to flood the board with a bunch of zombie tokens on turn one or two, and Bridge is what enables that. Bridge got a reprint, but that was all the way back in 2013, in the first Modern Masters. Remember that the original MMA had a much smaller print run than the following Masters sets. So while we’re not just looking at the original Future Sight copies, the additional supply from MMA is much less than if it were in MM2 or MM3. Also, Future Sight foils are something like $55, while MMA foils are a whole $10. That’s an appealing gap. There’s maybe forty or fifty copies on TCG of the MMA Bridge foils right now, and I’m sure some more scattered about. These are a strict playset though, so forty copies is only ten players. Add in that the price ramps up to north of $15 after about three playsets, and it’s clear that there’s a strong possibility of growth on Bridges. Legacy is the hot news of the day, but realistically, the DRS ban will matter to far fewer people than will sit down to play EDH at some point today, so we can’t forget about that format entirely. 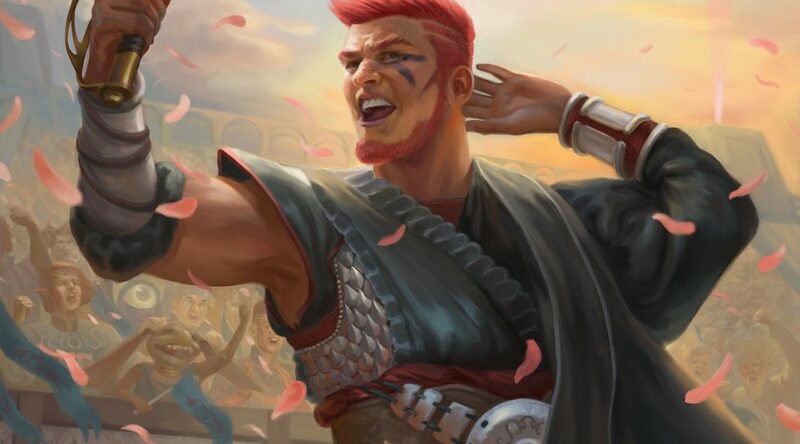 While I try to focus on new commanders, and the cards those new commanders shine a bright spotlight on, it’s important to remember that popular generals continue to be popular. Atraxa, for instance, is still the most built commander this month. All the staples of that deck are going to have been picked clean by now, but new cards to the strategy will present opportunities. And since the deck continues to be built on a weekly and monthly basis, new players to the strategy are implementing those new cards. Battlebond brought Pir to the table for Atraxa. He’s a personal Hardened Scales, except that he works for all permanents. Which hey, means your planeswalkers get an additional counter every time you place a counter on them, which is the most popular build of Atraxa. And since Atraxa is all about populating counters, and each of those is a trigger, one turn with Pir in play does a lot of work. Battlebond foils have been on fire recently, and I suspect any of them that are popular are going to end up fairly pricey, ala Conspiracy 2. Pir is going to be up there, since he slots so well into Atraxa, as well as does other things, like fetch Toothy. There aren’t that many pack foils on the market right now, and I expect there will be fewer, and they’ll be more expensive, in a few months.